Can strong growth in flooring sales depend on the success of the electric car? It may not seem logical to the casual observer that there would be any relationship between US floor covering sales and the success of the electric car. However, consider this. Historically, the introduction and commercialization of new technology has usually led to stronger economic growth and sharper gains in personal income and consumer spending. 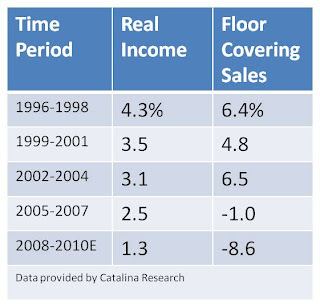 The resulting sharp gain in personal income and consumer spending has always led to strong floor covering sales growth. These correlations can be seen in the late 1990s, when the Internet became commercialized and revolutionized the way we communicate, shop, and seek entertainment. The Internet revolution led to a surge in new business investment, soaring employment, and rising productivity. As a result of these positive trends, US real disposable personal income increased close to 4.0% annually between 1996 and 2001. This relatively strong increase in personal income led to a 5.6% annual gain in dollar floor covering sales over this period. 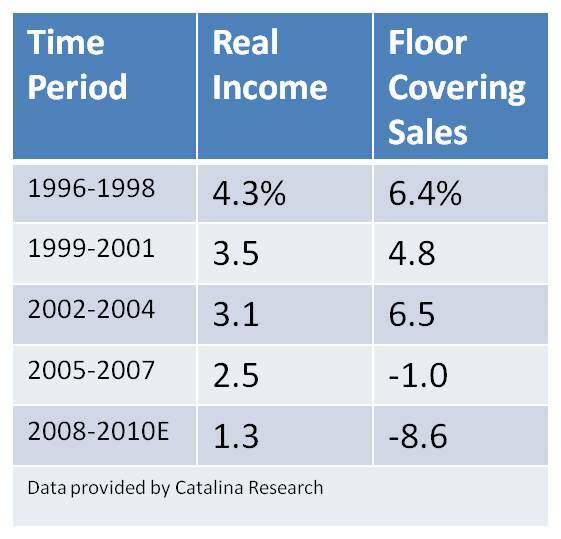 This shows there is a very positive relationship between gains in personal income and flooring sales. Conversely, real disposable income growth fell below 2.0% per year between 2005 and 2010 as the economy turned recessionary and the severe credit crunch led to the housing bust. Over this period, flooring sales declined 5.0% annually. So far, government stimulus programs and Federal Reserve money creation efforts have not been able to re-ignite the economy and personal income growth. What is needed to jump start personal income growth is a new round of technological innovation that will reduce household costs and increase employment. This time the new technologies can be found in solar energy products and the development of the electric car. For the first time in 2011, a homeowner will be able to purchase an electric car, such as the Chevrolet Volt or the Nissan Leaf, and also invest in new roofing materials, such as Dow Powerhouse Solar Shingles, to provide their own transportation energy system. Imagine waking up in the morning and not having to pay for gasoline for your car or electricity for your home. Think about how that would cut your household costs. Then add the surge in employment as homeowners invest in new solar equipment and electric cars. This would boost consumer incomes and spending. These actions will give homeowners added spending power for home improvements, including purchases of new flooring. This is the type of economic stimulus that is needed for a real recovery in flooring sales. What do you see leading a surge in US real personal income? This is post 3 of a three-post series on the status of B2B in the flooring industry. 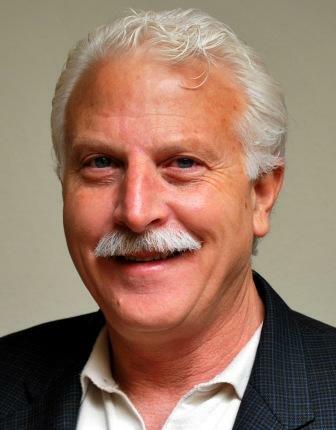 You can read Post 1 and 2 here: Dancik asks, "What's wrong with the B2B in the flooring industry?" and New plans for B2B improvements will add value for the distributor and retailer. Web services are coming to floor covering providing both solutions and opportunity for the industry. Imagine a retailer that can access its supplier’s information as if that information was stored inside its own retail computer system. Imagine a supplier who no longer worries how its data is formatted - or how its brand information is represented by distributors and retailers. Imagine the entire floor covering channel answering consumer questions confidently and consistently because the consistency is built into the process. All this and more can become an everyday reality if the direction that was set at the 2010 annual flooring industry B2B meeting comes to fruition. 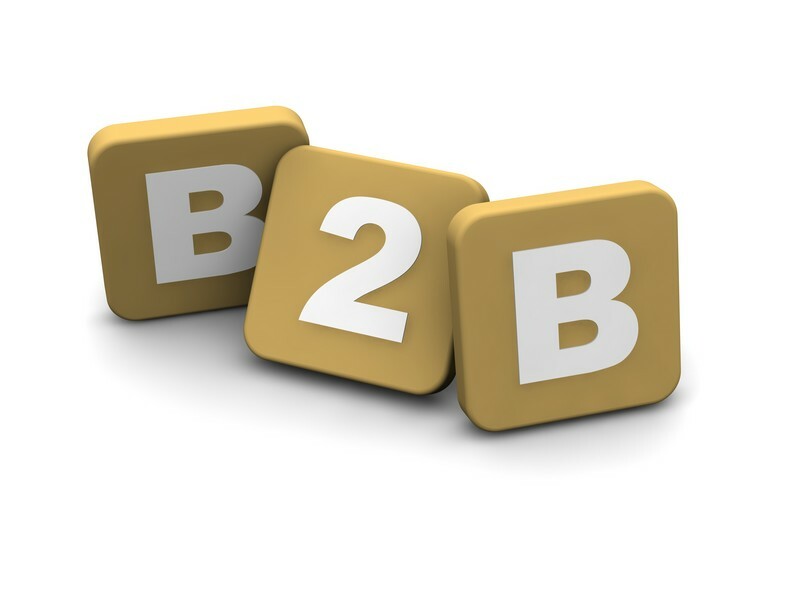 What is the New B2B? The new direction for B2B is something the techies call “web services.” Although web services can appear magical, the underlying technology is simple and pervasive. You use these automated web services every day on thousands of web sites, i-Pads, and smart phones when accessing information. • A web service provides the electronic answer to a question. For example, when you click on a button labeled “Product Information” at your computer, a program behind the scenes sends a message to another computer to supply information about the product; a web service program then returns the requested data, and you see it on your screen. • Currently, in all of the systems used within the flooring and home décor industries, the “Product Information” button will only retrieve data that was previously keyed or downloaded into your local computer. If you want current information from your supplier’s computer you need to go to their web site. The new B2B changes this scenario. Your program will call out to the supplier’s computer, which will run a web service and deliver the supplier’s information instantly to your local computer screen. The combination of the data in your local system plus the data in your supplier’s system will appear together. • Many small businesses who struggle daily with computer maintenance tasks will be able to get instant information without downloading and manipulating data. The use of web services will not necessarily replace the current “EDI based” B2B, which transfers information in batches between customers and suppliers. Large businesses may still prefer to manage all that data. What kind of operational savings comes with the New B2B? • When retailers press the “inventory” button using their local software, they will see what’s in stock in their store, what’s available at the local distributor, and when new production is expected from the manufacturer. • The “claims” button will take them to the claim form that relates to each supplier. • By clicking on the product name or code, a retailer will see everything the supplier wants them to know, including, but not limited to; pricing, special offers, pattern matches, specifications, installation materials and methods, sample ordering, marketing information and visualization. • Buying groups will be able to offer web services that supply information about products and services that are unique to their members. That information can be combined with the information from the supplier in a single complete screen presentation. When will we get the New B2B? 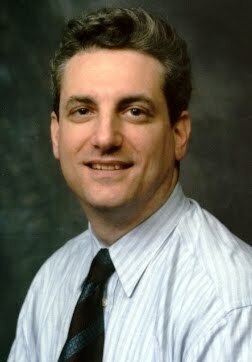 • The format of the web services was already agreed to at the 2010 floor covering B2B meeting. • The first web services to be created have been agreed to by the industry, and they include real-time inventory availability. All flooring industry suppliers and software companies have been asked to work on these initial web services in 2011. • Integration of web services into existing software systems is not a trivial task. At my company, Dancik International http://www.dancik.com, we've spent several years retooling so that all of our flooring features can call and integrate with web services. It was well worth the considerable time and investment, because we have recently and successfully deployed this technology with some flooring suppliers. • Suppliers must adopt this technology. They must budget for the integration of web services now, so that they can compete with it later. The more web services suppliers offer, the more successful this initiative and their market penetration will be. • Retailers will need to upgrade their systems. However, if a retailer is working with one of the FCB2B-compliant software vendors, they can expect that such an upgrade will become available. There is a list a vendors that claim FCB2B compliance at http://www.fcb2b.org/partners.php?view=software. The New B2B is both a solution and a new opportunity for the entire floor covering industry. Retailers will love the “New B2B” because it puts information at their fingertips without making them work hard to download, interpret, manipulate, and integrate it. Suppliers will love it, because they can control the content and offer as much of it as they like. Suppliers can compete on the quality of their web services, making their customers the big winners. I urge you to get involved in B2B technology, and to join the floor covering B2B organization, FCB2B http://www.fcb2b.org/membership.php. The FCB2B is not an IT organization. It is a dedicated group of your peers that want to make the new B2B a reality and lower operating costs for you. Your comments will be appreciated and responded to. Thank you for reading! On December 3rd the International Trade Commission (ITC) announced an affirmative determination in its preliminary investigation of claims made by US engineered flooring manufacturers against China. The ITC has stated there is sufficient evidence to launch an investigation by the US Department of Commerce. A final determination is expected around the end of July 2011. Read their decision here. This is a complex issue that isn’t so simple as US. vs China. This action is creating a situation where some US distributors and importers are lining up on the side of China, where others are questioning who the potential winners and losers might really be and point out that the remedies sought by the US manufacturers could “deliver a potential fatal blow to many American entrepreneurs,” by making the distributors and retailers pay retroactively for new tariffs. Read: "Distributors question ITC investigation impact." These factors combine to give Chinese manufacturers an unfair advantage and injure the entire domestic hardwood flooring industry. An explanation of Antidumping and Countervailing Duties is here. The figures presented by CAHP are overstated and government subsidies were removed several years ago. Why weren’t these claims alleged six or seven years ago when Chinese products first appeared in the US and when low prices fueled by government subsidies were helping China build market share? Aren’t some of the US manufacturers who have made these allegations the same ones who have been importing product from China for their own product lines? Who will be the real winners and losers? If increased duties are the outcome, distributors, retailers and consumers will face significant price increases. Some duties could be imposed retroactively which means retailers could never recover them. How will this disrupt the supplies? Finding alternative suppliers will not be easy given logistics, timing and product duplication issues. What will happen to the hand-scraped market? Some estimates say that labor to duplicate a true hand-scraped product in the US could increase the product price by as much as a $1 a square foot. Will the consumer pay this? Or will the same inexpensive hand-scraped product simply flow to the US through Indonesia which could avoid the tariffs because of its most favored nation status? 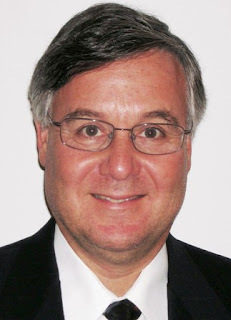 Will the US manufacturers seek ITC investigations in other countries? A major concern is the disruption to our industry and the amount of management time that manufacturers, distributors and retailers will have to spend on this issue - at a time when all their energies are surely needed elsewhere. Competition from the Chinese has spurred many US manufacturers to improve processes and efficiencies but the recent market decline means they haven’t seen positive outcomes yet. Will the outcome give a significant boost to domestic manufacturers? Or, will it do more damage than good? Will uncertainties of pricing, supply and disruption of business, combined with the depressed market, water down the effect of the remedies sought? Who will ultimately pay the price of for this fight? And how will retailers and distributors handle the impact on them? It will be very interesting to see how it all falls out with the only certainty being that, as always, it will be very good for the lawyers. The ITC's public report "Multilayered Wood Flooring from China" will contain the views of the commission and information developed during the investigation and should be available after the first of the year. You can obtain a copy by emailing pubrequest@usitc.gov, calling 202-205-2000 or writing to the Office of the Secretary, 500 E Street SW, Washington, DC 20436. Requests may also be faxed to 202-205-2104. I wonder what you think about all of this and how are you likely to be affected? Do you have a plan to deal with this? Installation failures are the most detrimental occurrences in the ceramic tile and stone industries. They leave the wrong impressions about products or services and they can be very time consuming and expensive to repair. Will Rogers once said, "It takes a lifetime to build a good reputation, but you can lose it in a minute." That’s so true when a ceramic or stone installation fails. Thankfully it doesn’t occur frequently, but when it does everyone involved loses. It doesn't matter whose fault it is, everyone pays one way or the other in money, time or reputation. As an industry, it's in everyone's best interest to do whatever we can to avoid failures and perpetuate quality installations. The best way to ensure quality installations is through a Project Quality Control Plan. A Plan sets expectations and standards for a successful outcome. Not only can this help avoid a failure by ensuring the products are being installed correctly, but during the installation even untrained laborers are exposed to and learn proper methods and industry standards. The majority of ceramic tile and stone failures are due to labor errors and occur because installation standards and product directions are not followed. Ceramic tile and stone installers don't go to college or trade schools to learn their trade. Typically they learn on the job from more experienced installers that may have been installing tile the same way for 20 years. These “old-timers” may not be aware that the new generation of materials require new methods. They just figure the old way is the right way and teach the next generation of installers the same. Architectural specifications contain standard sections with quality assurance and quality control specifications for products and installers and methods for each application. This section calls out the process necessary to verify the products are being used and installed correctly. Unfortunately, instead of thoroughly customizing these sections each time for each project, architects often “cut and paste” this information from one project to another. The result is that quality assurance gets value engineered out of the job, and the quality control is left up to the installer to provide internal quality control; both of these scenarios contribute to failures due to the lack of information and controls. A good architectural specification will require that ceramic tile and stone products be tested to verify they meet the industry standards for the intended use and that the installer has experience at performing similar type of work for the intended application. It will require mock-ups to be constructed in advanced, per the specification, to be used as a quality control during the project. Then it will provide a detailed quality control plan to be implemented by a qualified third party inspector on behalf of the owner of the project. At our company, Ceramic Tile and Stone Consultants (CTaSC), our quality control inspectors are seasoned journeymen or licensed installers who verify that the ceramic tile and stone products are being installed correctly and they teach installation methods and techniques to those who often have limited experience and limited supervision at their company. The result is that the installers are taught how to install correctly and supervised to make sure they follow the proper installations methods. By the time an installer completes a project he has practiced and used the proper installation methods for so long and he is likely to use those techniques on future projects. In short, a good quality control and quality assurance program is a win-win situation. It perpetuates quality work and avoids failures. The customer gains a beautiful installation that will last for many years without problems as intended. The installers, distributors and manufacturers get referrals based on a well executed job. Everyone avoids the costly inconvenience of a failure that will cost each of them money, time and reputation! How do you plan and control your installations? Are your expectations clearly spelled out, and your installers trained in the latest methods and materials?